So first, what is exfoliation? Exfoliation is the process of scrubbing away the top layer of dead skin cells in the epidermis. This is done to encourage the live cells in the dermis of the skin to come out and refresh the skin’s appearance. TLDR: Exfoliation helps your skin look younger and healthier by removing dead skin cells! Our skin is always turning over. New cells are produced in the dermis and are then pushed up to the epidermis as the top layers of cells are sloughed off. This can take some time, and as we age this process naturally slows. It is important to remove the top layer as it helps send the message to the epidermis that new cells are needed, thus allowing your skin to look youthful and rejuvenated. Exfoliation is especially important after hair removal, including sugaring. This is because the dead skin cells in the dermis can block the hair follicle, thus trapping the hair inside. This can lead to ingrown hairs. By exfoliating you are removing the dead skin cell, which allows the hairs to exit the follicle. Over time sugaring will cause your hair shaft to grow weaker and thinner and eventually stop growing. As the hair shaft grows weaker it has a harder timing pushing through the dead layer of skin, leading to more ingrown hairs if you don’t exfoliate. 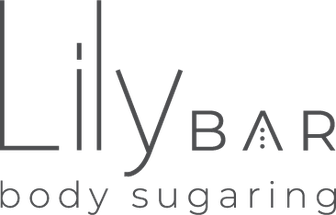 It therefore becomes more important to exfoliate the longer you have been sugaring. TLDR: Removes the dead skin cells so your skin looks fresh and youthful! Also allows you to avoid ingrown hairs. How often should you exfoliate and how? I recommend exfoliating at least three times a week. Pay attention to your skin and be careful not to over-exfoliate. If after an exfoliation you notice your skin is red and sensitive, be careful to exfoliate a little less aggressively the next time. You can exfoliate with a loofah or you can also get exfoliating body washes with exfoliating beads inside them. Be sure to pay attention to what they are made of, as plastic beads are seriously devastating for the environment. Try to stick with sugar or apricot scrubs. 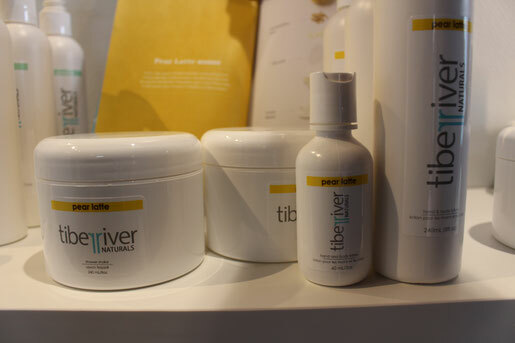 In fact, we carry a wonderful range of sugar scrubs from Tiber River Naturals that are sure to do the trick! TLDR: Three times a week is recommended. Be careful not to over-exfoliate! Have any other questions or concerns regarding sugaring and exfoliation? Give us a call or send us a message. We would love to answer all your questions!